Point2 Homes gives you far more than a simple list of houses for sale. Get instant access to a lot of relevant information about Westboro, Ottawa, ON real estate, including property descriptions, virtual tours, maps and photos. The search results pages also have a wealth of information on Westboro, Ottawa, ON, if you scroll all the way down. There are 51 houses for sale in Westboro, Ottawa, ON. 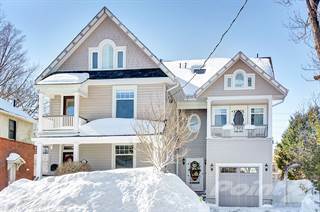 Searching homes for sale in Westboro, Ottawa, ON has never been more convenient. 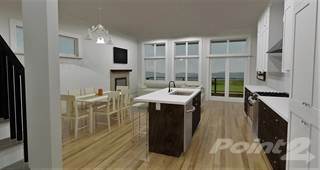 With Point2 Homes, you can easily browse through Westboro, Ottawa, ON single family homes for sale, townhomes, condos and commercial properties, and quickly get a general perspective of the real estate prices. Also, you’ll never miss a bargain if you filter listings based on house price drops in the past six months. Use the map view to find Westboro, Ottawa, ON homes and apartments for sale, based on amenities or city features that you may want close by. You can close in on a specific neighbourhood or area by simply drawing around them with the polygon or radius tools. Stay informed about the latest entries on the real estate market by saving your searches. This way, you get new listings in your inbox, daily or every week, based on your preferences. If you’d like to get in touch with a professional, agents are displayed next to their listings, and they’re easy to contact through the online forms. If you want more options, you can click the Tools tab and Find an Agent, and you’ll get a list of helpful and knowledgeable real estate agents in Westboro, Ottawa, ON. Visit the Point2 Homes blog and you can find up to date expert advice on many markets throughout Canada, regular market reports, neighbourhood scoops in cities throughout the provinces, real estate deals and useful recommendations. Perfectly situated along the beautiful Ottawa River, Westboro Village is an energetic and lively community, ideal for young couples and families. Getting its start in the early 1900’s, Westboro was originally known as a “cottage country”; however, over the years the area has witnessed great expansion and an influx of creative and passionate people who have developed this community into one of the trendiest and most vibrant areas of Ottawa. Known for an abundance of unique shops, pubs and restaurants, it is easy to forget that Westboro built its foundation on a strong community bond. As such, the people are friendly and welcoming, making this area perfect to raise a young family. Westboro tends to rank above average in all areas across the board such as education level, annual income, safety and access to transportation. As you may expect, the home prices are also above average, but the value you receive from this community completely justifies the higher housing costs. With its trendy, urban core, Westboro Village creates a lively, energetic atmosphere that is second to none in the Ottawa, Ontario area. The strength of the community is obvious as the people are very friendly and always welcoming. The vibrant energy and sense of community are major components of Westboro Village, but this area has a lot more to offer than just the trendy shopping. As you move off of Richmond Road and head towards the Ottawa River, you will start to see an abundance of green space, creating an instant connection with the natural environment. The view of the Gatineau Hills situated just across the river creates a majestic and serene atmosphere for Westboro residents. The perfect balance between trendy shops and natural green space truly make Westboro a unique location in Ottawa. In a matter of steps, you are able to go from an energetic, vibrant, urban core, to a peaceful and relaxing natural surrounding. It offers the best of both worlds. There is plenty to see and do in Westboro Village. In Ottawa, Westboro is known for the unique, trendy shops such as Magpie Jewelry, Terra20 and of course, Three Wild Women. If you are more of an outdoor person then you will love the Expedition Shoppe, Mountain Equipment Coop and Bushtukah, which offer everything you need for your next camping trip or hike in the forest. Break up your day of shopping with a drink from one of the many local pubs or order a hot cup of coffee from one of the many coffee and teashops. If your stomach is growling, make sure you try a towering burger from The Works. As night rolls around, you will want to experience the romantic side of Westboro with a nice Italian dinner at Fratelli’s or a Mexican-inspired dish at Milagro Grill. The options for dinner are abundant with many creative restaurants in the area, so whether you are in the mood for sushi, vegetarian, Italian or local, modern cuisine, you are sure to find it in Westboro. If you want to keep healthy, there are plenty of walking and bike paths along the Ottawa River. There are also several yoga studios to help keep you balanced and aligned. When it comes to eating healthy, you have the fresh fruit market during the summer months as well as a few great organic food stores specializing in natural products. Given the community-focused atmosphere of Westboro, there are plenty of festivals and events going on throughout the year with the biggest being Westfest, which celebrates music, art and life. Regardless of your age or style, there is always something for you to experience in Westboro. There are many new, stunning condos in the urban core of the community, with new apartment complexes and luxury condos currently in development. These condos are steps away from the best pubs, coffee houses and trendy shops, offering you the true city lifestyle. As you move away from the core towards the outer boundaries of the community, you will find yourself in a tranquil area rich with green space and well-maintained homes. Many of the homes are from the turn of the century, offering style and charm but with complete renovations to suit your modern lifestyle. The environmentally responsible and health-conscious residents of Westboro take pollution very seriously. Currently, the community is developing a 50-year pollution control plan that will see elements such as porous pavement, rain barrels and stormwater ponds created to help control the impacts of deleterious runoff associated with urban living. As a result of the relatively low levels of traffic, the ability to walk everywhere and the ease of access to public transportation, the air quality in Westboro is excellent, with little air pollution. As Richmond Road does dissect the heart of Westboro, there will be minor noise disturbances if you are living close to the urban centre. As you move further down towards the Ottawa River, noise is practically eliminated, unless you count the sounds of nature as noise pollution. With a crime rate below the Ottawa average, Westboro is a very safe neighbourhood. Whether you are walking along Richmond Road or biking on the trails, you will always feel safe in this area. Your children will have the opportunity to attend some of the best elementary schools in the Ottawa area. Westboro Elementary is a top-notch public school that features SMART board technology and puts an emphasis on creating a positive and educational experience for your children. Similarly, Académie Westboro provides excellent bilingual education to children between junior kindergarten and grade 8. If you are looking for private education, then look no further than Westboro Montessori School. Known for their high standards and diverse course offerings, Westboro Montessori is an excellent choice for your child. When it comes to high schools in the area, Westboro is primarily serviced by the Nepean High School. Besides the high standard of education, Nepean High School is known for developing notable alumni such as Kevin O’Leary and Bruce Cockburn. Public transportation is very accessible in Westboro Village. The Dominion and Westboro bus stations, which are both situated along the rapid-bus Transitway primarily serve the area. Many of the major OC Transpo Bus routes intersect with Westboro, including route 95, which connects the east and west ends of Ottawa. Similarly, the Westboro bus station is only two stops away from the O-Train Station. Currently, light-rail transportation runs from Westboro area to the Greenboro station in the southern section of Ottawa. 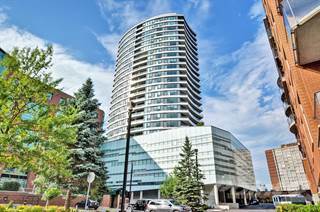 It is ideal for Carleton University students looking for a quick trip to school. Over the next few years, the O-Train rail line is expanding and will soon connect Westboro with the downtown core as well as other major areas of Ottawa. Given the access to high quality education, the low crime rate and the perfect balance between nature and urban living, Westboro Village is the ideal location for young couples and families. As a family, you will undoubtedly enjoy the numerous bike paths along the river as well as the many parks in the area. Similarly, the Dovercourt Recreation Centre will become a safe haven for you as your family enjoys the pool facilities, day camps and fitness programs, all found in your backyard. As one of the more popular communities in Ottawa, Westboro Village offers a unique balance between its vibrant urban core, perfect for condo living, and the stunning, natural surroundings, ideal for raising your family. If you are looking to live in an area that you will enjoy for years to come and a home you can be proud of then loo no further than Westboro Village.